With all the Xbox and PlayStation and even Pocket editions of Minecraft floating out in the world, one system is conspicuously absent: Nintendo Wii U. You'd think the most family friendly console would be a haven for a game like Minecraft, but so far the system has been voxel-less. All that changes December 17th. 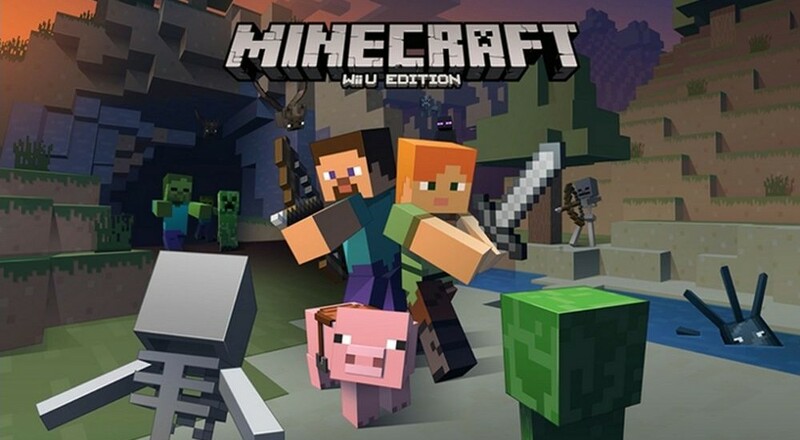 Microsoft is finally pushing Minecraft: Wii U Edition out the door, and it'll have a bunch of free skin packs in tow when it releases. More are promised in the future, which makes me giddy thinking about a Mario skin pack. C'mon, you know it'll happen. There's no official word on gamepad integration, but it's pretty easy to picture an inventory living on the small screen while you run around hitting trees on the large one. Even without taking advantage of the system's exclusive features, having Minecraft on a Nintendo console is a pretty exciting idea. Both online and local co-op will be possible on Minecraft Wii U. Local supports two players with splitscreen, while online lets as many as eight join together for good clean castle building. Page created in 0.8530 seconds.